I observed the month of Ramadan and celebrated Hari Raya aka Eid Al-Fitr in Malaysia. Here's why I think it's definitely a good idea to visit Malaysia during Ramadan. When I was thinking of the next country to visit, I found a lucrative offer from AirAsia. They offered a flight from Bhubaneswar to Kuala Lumpur for just Rs. 2000 and of course it was an offer too good to decline. Before I could book my flight, though, the discounted tickets were already sold. I ended up paying around Rs. 4000 – including taxes – which was still a good price. I also booked my accommodation and then applied for Malaysia eVisa which granted me a multiple entry permit for up to 30 days. Surprisingly, my month-long trip to Malaysia was coinciding with the month of Ramadan. But I was excited to take this opportunity to observe Ramadan in Malaysia and then celebrate Eid Al-fitr, locally known as Hari Raya, with the locals. When I reached Kuala Lumpur, 15 days of Ramadan had already passed. Which meant I still had two weeks of the month left to observe. In this article, I would like to showcase how I observed the month of Ramadan in Malaysia. In doing so, I would also try to explain why it’s definitely a good idea to visit Malaysia during Ramadan. Since the very first day in Kuala Lumpur, I started visiting different mosques in the city. The National Mosque of Malaysia was located about 15 minutes on foot from my hostel near Pasar Seni station. I spent most of my evenings at the National Mosque where they served food during Iftar – the breaking of the fast – after sunset. For Iftar, they would provide everyone with some dates and a cupcake or other similar item. Sometimes some locals brought food – either homemade or bought from the market – to serve the people breaking their fast. After the completion of the Maghrib prayer, they served food. Most of the evenings, I saw long queues of people to get the free food. Some people would leave the prayer hall right after the completion of the prayers and rush to the counters to make sure they didn’t miss the food. Those standing towards the end of the queues were almost always left with just rice. I participated in Iftar ceremony for a few evenings and observed how locals, as well as travellers, from different backgrounds and professions, would sit down and dine together. Having spent most of these evenings at the National Mosque aka Masjid Negara, it was my favourite place for Iftar ceremony. If you happen to be in Malaysia during Ramadan, consider visiting a mosque and join others in the Iftar ceremony. The Iftar ceremony is observed at many other mosques besides the National Mosque and Masjid Jamek – both in Kuala Lumpur. Although many of these mosques are open to tourists when it’s not a prayer time, I’m not completely sure about non-muslims joining the Iftar ceremony. But it’s worth noting that the Mufti for the Federal Territories, Zulkifli Mohamad Al-Bakri, recently said that inviting non-muslims to Iftar is allowed, provided that the courtesy and positive values in the event was preserved. If you plan to visit mosques during Ramadan, avoid noon timings on Fridays and evening timings throughout the week as mosques have restricted visiting hours for tourists during Ramadan. Although the month of Ramadan is about abstaining from food and water among other things, it makes a great time for enjoying some of the best dishes Malaysia has to offer. During the month of Ramadan, different markets in Kuala Lumpur are packed with both Muslim and non-Muslim visitors looking for some delicious food. In some areas, you will also find ‘Ramadan Markets’ that open around 4 pm and close at about 7 pm. These markets offer popular Ramadan food items like Ketupat – a dumpling made of rice cooked in a woven palm leaf container, Rendang – a preparation of beef, duck or chicken cooked in coconut milk and spices for a few hours, Ayam Percik – a dish offering chicken that is grilled in aromatic spices and coconut sauce. Deserts offering include Putu Buluh, Roti Bom, and Kuih-muih among others. 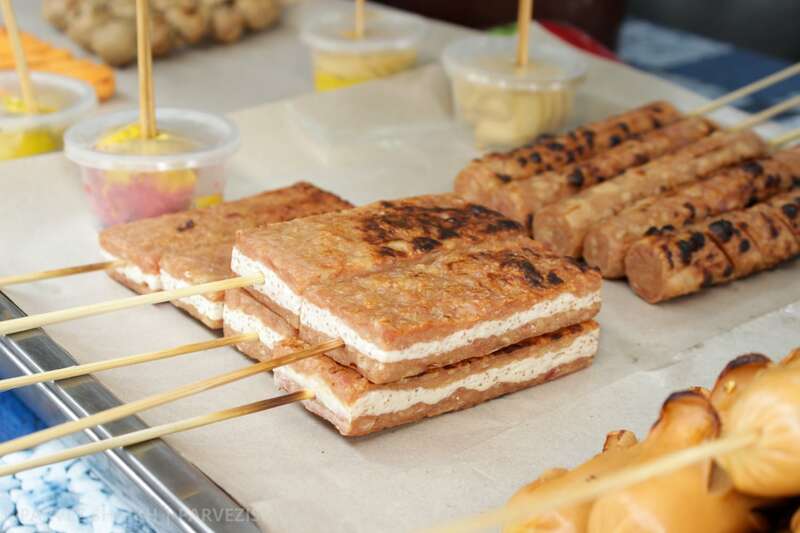 There are a lot more offerings available at different markets and all of them are worth trying. I visited different markets of Kuala Lumpur during Ramadan. I observed that Muslims buy these items usually during the evening time and either take them home or to a mosque where they follow the Iftar. During the evening time before Iftar, these markets were crowded with people looking for some heavenly food to satisfy their taste buds. Moreover, some restaurants also offer special Ramadan buffets for you to enjoy. These places, however, are packed with people waiting for the sunset when they can break their fast. If you plan to have a dinner at any of these places, book a table beforehand, if possible, or visit these places after the Iftar hour. Also, it’s common to get invited to Iftar ceremonies by Muslims. If you receive an invitation, accept it and enjoy your meal while observing the Iftar customs. It’s a common question asked by non-Muslims whether they can eat during Ramadan in Malaysia. The answer is yes, you can eat and drink during Ramadan, privately and in public places, too. Although Muslims are expected not to eat (not in the open, at least) during Ramadan, everyone else can enjoy their food as usual. Some officials demand people of other faiths to show respect towards fasting Muslims by not eating in front of them, but it is not really a big problem in Malaysia. Just keep in mind that some shops owned by Muslims remain closed or change their timings during this month. So, make sure you plan your meals beforehand. Did I already tell you that Ramadan is a great time to enjoy some of the best dishes Malaysia has to offer? As the month of Ramadan approaches its end, it calls for Eid Al-fitra – locally known as Hari Raya or Aidilfitri – preparations. People begin cleaning and decorating their houses. They also visit markets and shopping malls to buy clothes among other things. Different brands offer lucrative offers during this period and if you are in the mood of shopping, it’s definitely a good time for that. Because of this rush, however, the streets of cities like Kuala Lumpur and George Town would be packed with vehicles stuck in traffic jams. It’s not hard to understand this situation as the evening rush hour is followed by Iftar and everyone wants to reach home to be with their families. In short, be prepared to spend a long time on roads during Ramadan – especially towards the end of the month. But if you plan your day smartly, you might be able to avoid this chaos. Public transport remains operational as usual in Malaysia during Ramadan. Buses, trains, taxis – everything operates as usual. But as I mentioned in the previous section, you should be ready to get stuck in long traffic jams during the evening time. Also note that it might not be wise to travel across the country during the Hari Raya days (the end of Ramadan). It could be difficult to find a seat in buses or trains as people from other parts of the country will be leaving big cities like Kuala Lumpur to visit their families or going out for a vacation. I left for Malacca on the second day of Hari Raya holiday and I spent at least an hour in a queue just to find a bus that departed three hours later. Regardless of what you’re told, Ramadan is definitely a great time to visit Malaysia. You can enjoy some mouth-watering dishes, get some exciting deals on shopping, and get to participate in a vibrant culture Malaysia has to offer if you decide to visit Malaysia during the holy month. Majority of businesses remain open during Ramadan with a possibility of changed timings during the month. While the streets and markets are crowded and look chaotic, you shall notice that people are actually pretty calm and patience as they might have been going without food and water for many hours already. At last, although Malaysia is considered a Muslim country, it’s actually a nice blend of different cultures. People are not forced into closing their shops or stopped from eating in public. Besides some chaotic markets and streets in different cities, you wouldn’t notice much difference. 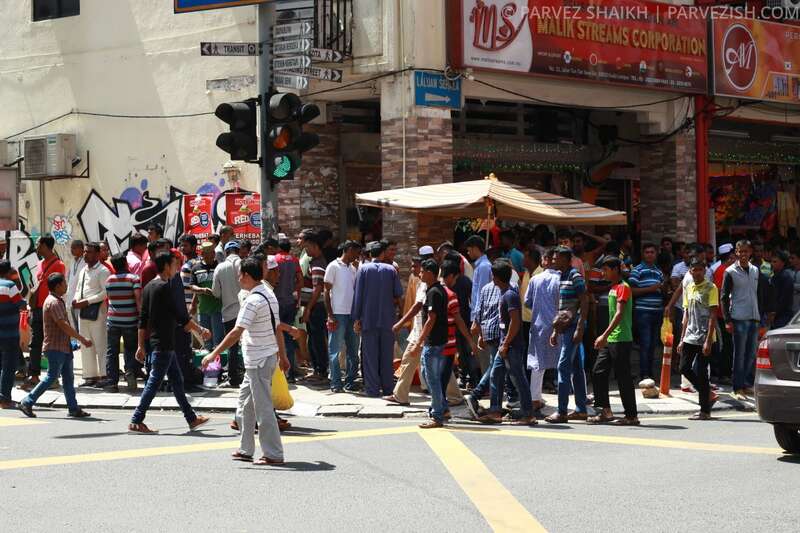 And lastly, as they say – “it’s actually business as usual” in Malaysia during Ramadan. I had a great time observing the month of Ramadan in Malaysia and I’m sure your visit would be as exciting as mine. That’s all, folks. You were reading an article about visiting Malaysia during Ramadan. I hope you found this article worth your time and I wish you a great trip to Malaysia! Already celebrated Ramadan in Malaysia? Do share your experience with me. Thinking of a trip to Malaysia? You might want to check out some cheap flights. It’s also a good idea to book your hotel rooms beforehand. Prefer dormitories over hotels? Different cities in Malaysia have lots of cheap and decent dormitories often with free breakfast.